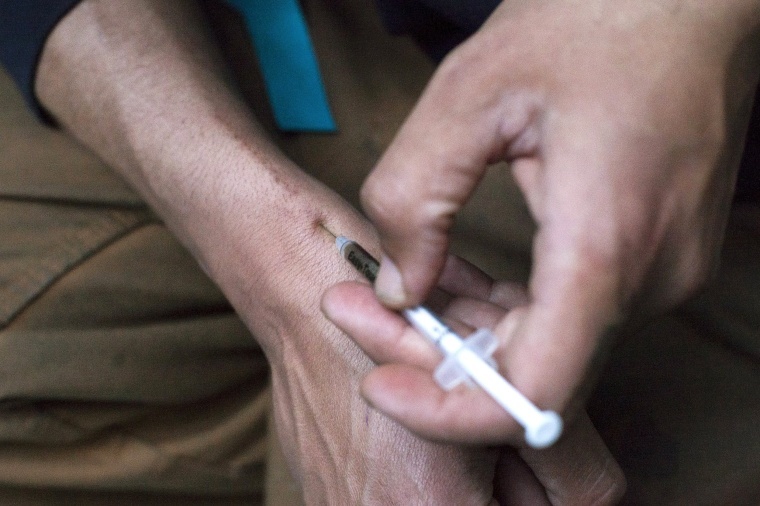 Drug overdoses rose again last year, driven by surges in deaths from heroin and powerful prescription painkillers, according to new federal statistics. Overdose deaths in the U.S. surpassed 47,000 -- up 7 percent from the previous year. Many of the deaths were due to a group of powerful opioid painkillers, which have long been the leading cause of fatal overdoses. But the number had been stable recently. Last year, the count rose to nearly 19,000 deaths, an increase of 16 percent. Heroin deaths continued to climb, by 28 percent to about 10,500. The Centers for Disease Control and Prevention posted the numbers this week. They are based on death certificates. The federal agency is analyzing the drug numbers to determine what caused last year's increases, said CDC Director Dr. Tom Frieden. But clearly, he added, the nation's drug overdose problem "is not getting better." Opioid pain relievers, including OxyContin and Vicodin, have been the focus of a government campaign to reduce overdose deaths. The CDC is working on new guidelines for doctors about how to more carefully prescribe such drugs. But CDC officials believe at least some of the increase in painkiller deaths last year may be due to illegally made fentanyl, which is a synthetic form of morphine. Some medical examiners classify fentanyl deaths in the prescription painkiller category, Frieden said.